Bigben and Toplitz Productions are happy to announce that My Little Riding Champion is now available on PlayStation 4™, Xbox One, and PC, and starting December 20th for Nintendo Switch™. For its fans, horse riding is much more than a sport: it’s a lifestyle! The bond with the animal, the joy of taking care of it, the feeling of freedom, and the competition intensity make horse riding a unique discipline. 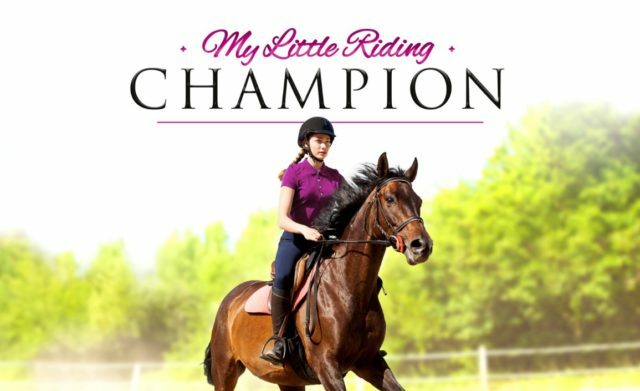 My Little Riding Champion is intended for all horse riding fans, giving them the ability to customise their character and their horse, to train it, to explore a vast open world with it and participate in numerous competitions. My Little Riding Champion is now available Xbox One, PlayStation 4™, and PC, and will be available on Nintendo Switch™ December 13th. The Game will be available Nintendo Switch™ January 29th in North America.